Photo and video equipment for fashion e-commerce enabling studio production 4x faster. StyleShoots launches Live: the first "smart studio"
Create lifestyle stills and video without a camera crew. Haarlem, The Netherlands, February 22, 2017 – StyleShoots, the Dutch technology company known for producing the world’s first all-in-one photo machines for fashion, introduces StyleShoots Live: a new machine that can capture video footage and stills without a camera crew by using a robotic camera setup. The "smart studio" is designed to create instantly edited video and stills for fashion lifestyle and eCommerce shoots in minutes. StyleShoots Live is an all-in-one “smart studio” designed to provide both stills and video of brands shooting their latest apparel on models in one large steel enclosure. With advanced robotics and AI technology, the machine handles all of the technical duties that would usually be performed by a camera crew - such as setting up shots and lighting. It allows for instant review of stills and video with incredible production speed. StyleShoots Live is designed to give fashion brands and their creatives a closer interaction with their models and improve the quality, speed and production efficiency of their shoots. The intelligent machine works alongside the user and model to record the required footage, and automatically edits it for instant review and export to multiple platforms. “We proved that removing the technical obstacles to product photography was possible in our first machines. We decided to apply that same philosophy to lifestyle stills and videos"
A motorized camera head with three axis movement uses a 4K capable Canon 1DX Mk II and a 3D depth sensor, controlled by the system’s Style Engine™. The proprietary software controls the movements, camera and lights to produce the desired footage based on fully customizable styles. The high quality videos and stills are automatically edited for instant review and export in multiple formats - ready for e-commerce, social media and digital signage. StyleShoots Live intelligently uses customizable preset output styles and handles cutting, aspect ratios, transitions and effects. 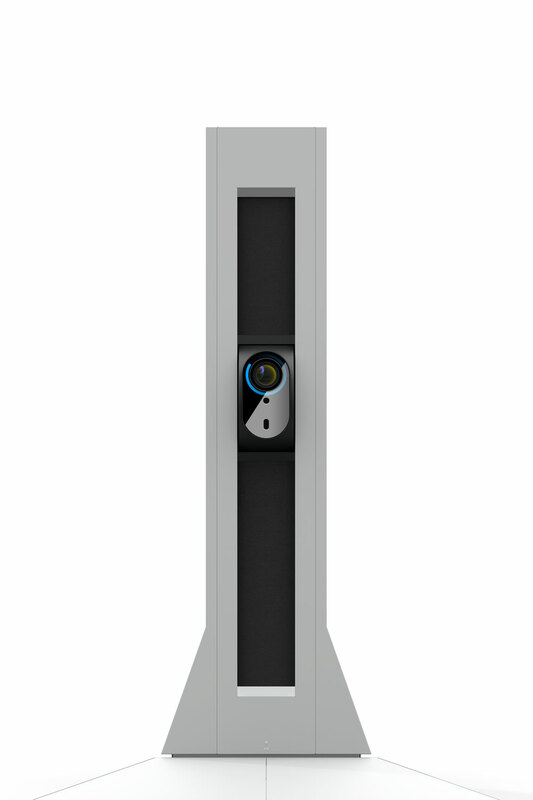 “The machine intelligently works alongside the user, without the need for a large camera crew. With Live, it’s possible to create magazine quality content with just one creative and one model.” adds Jorgensen. For a faster workflow, the user controls everything from the built-in iPad Pro with a Live View of the model. The fluid interface allows users to get an instant feel for how their videos and stills will turn out, allowing them to spend more time on styling the right shots. StyleShoots Live also gives brands and their creatives unlimited possibilities in how they can change the look of their footage. The machine’s stage area is fully configurable with different backdrops and flooring. The advanced, touch-controlled lighting setup allows for the angle of incoming light to be altered and the machine calibrates itself to keep color and light levels consistent between stills and video. “Fashion brands need to keep their customers engaged with fresh content every day - and video shared on social media is the most powerful form of storytelling. To keep up with the continuous demand, StyleShoots Live creates stills and video ready for publishing on Instagram, Facebook, Snapchat, and websites within minutes - without any manual editing or post production.” finally adds Jorgensen. “Fashion brands need to keep their customers engaged with fresh content every day... to keep up with the continuous demand, StyleShoots Live creates stills and video ready for publishing on Instagram, Facebook, Snapchat, and websites within minutes"